I am writing an incident form and i would like the person filling in the form to be able to add the details of more than one witness if they can but without having several sets of fields to gather personal data visible. In iAuditor, an audit form builder you can group a set of fields and put in a button allowing the user to add another set. Groups of Dynamic Input Fields can be achieved with the widget called "Configurable List". 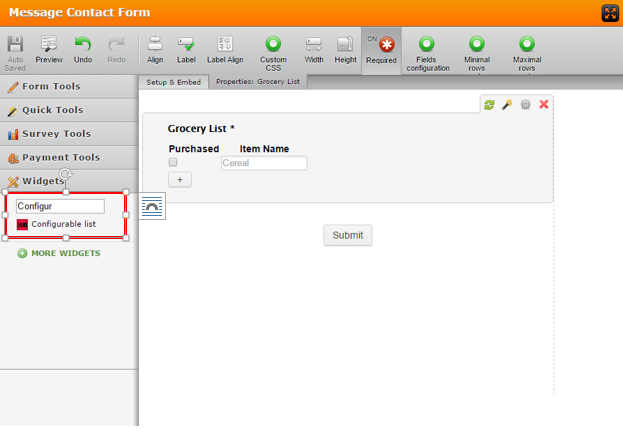 You can add this widget to your form using the guide above. I created a demo form for you to look at here.